What woman doesn’t love a good spa day?! I know I do, but unfortunately it just doesn’t always fit into my budget. But luckily just because this last year might have been tighter than normal, or you’re saving your hard earned money up for that new car, doesn’t mean you can’t still have a luxurious spa day… at home! Being a beauty blogger, I’m often trying out the latest in skincare, but what I don’t normally write about is really how you can get that ultimate spa experience at home. 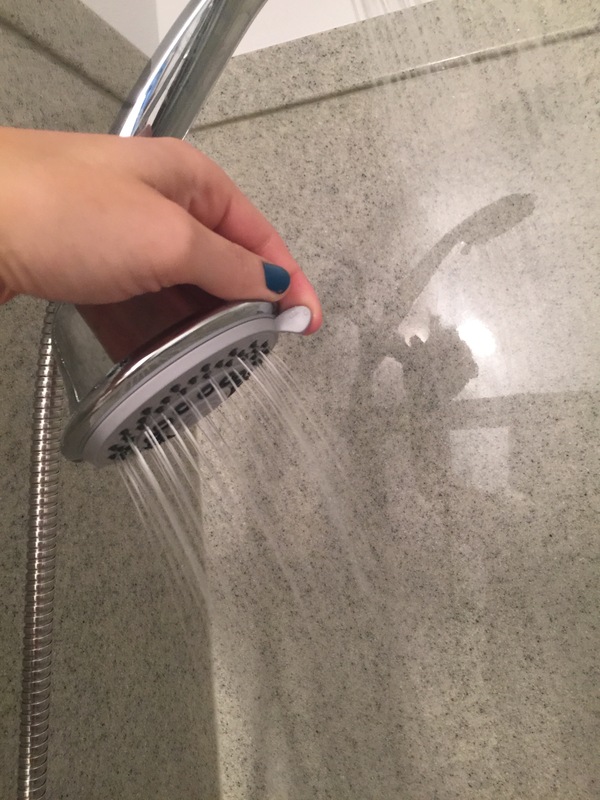 A lot of us are probably already doing at-home manicures and pedicures to save money, using the latest clay mask, and maybe even soaking our feet in a foot bath after a long day of standing, but have you ever really thought about getting a new shower head to add to your at-home-spa experience?! I sure never did, but I’m totally re-thinking that now! I recently got to try out the Aquastorm by HotelSpa 30 Setting SpiralFlo 3 Way Luxury Shower Combo, and boy oh boy, have I been missing out! First off, when I saw this, I was like, how cool! 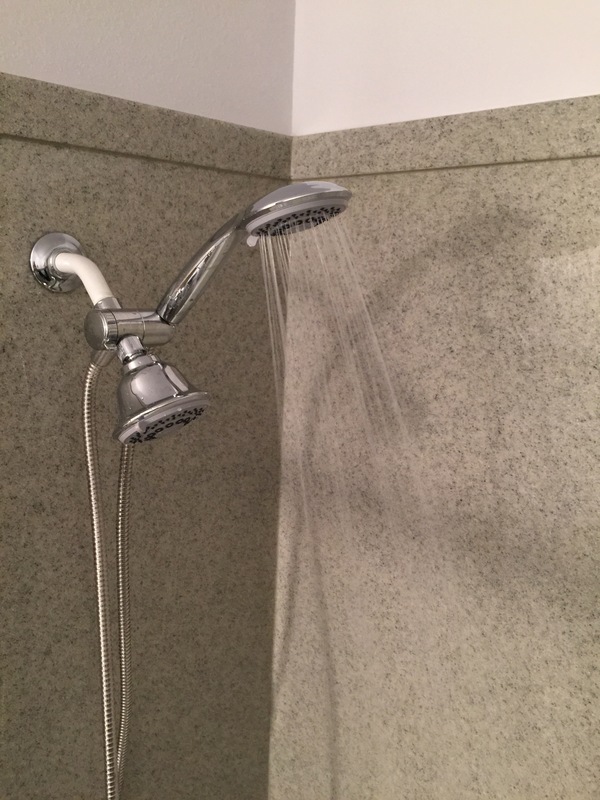 Dual shower heads! I thought to myself, wow that would be pretty cool to try out! When it arrived, I honestly didn’t think that much about it except that two shower heads are probably better than one. So I had my husband install this awesome shower head in my spare bathroom (because I had just replaced my master shower head a few months back). That was a huge mistake! More on that in a minute! It’s a quick install which is always good. 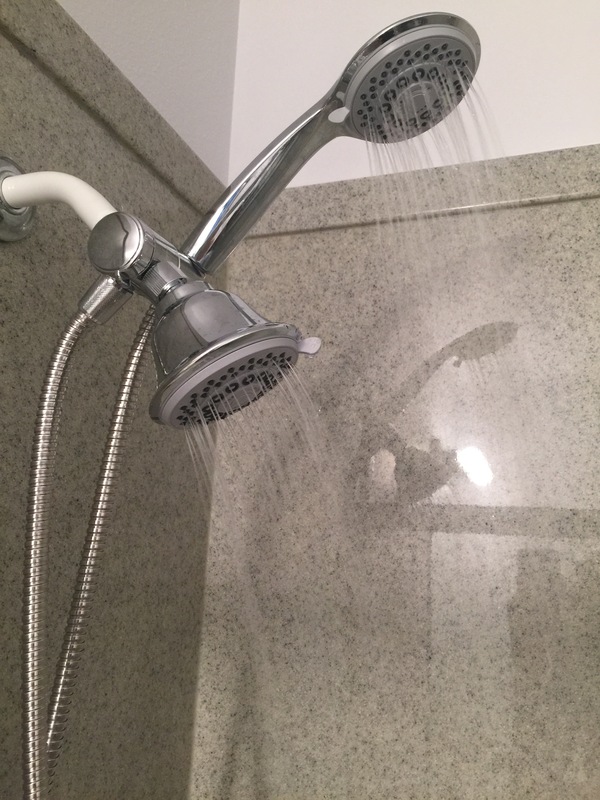 My husband installed this dual shower head in less than 5 minutes! Yeah, seriously. I know he’s done this a few times, especially recently, but that’s how incredibly easy it is to install. In fact the install is completely tools-free too! I turned it on right away and started playing with the nozzles. At first I thought you could only run one at a time, and thought to myself, how silly! But that’s not the case at all. You can run both, you will just get more intensity if you run one by itself. 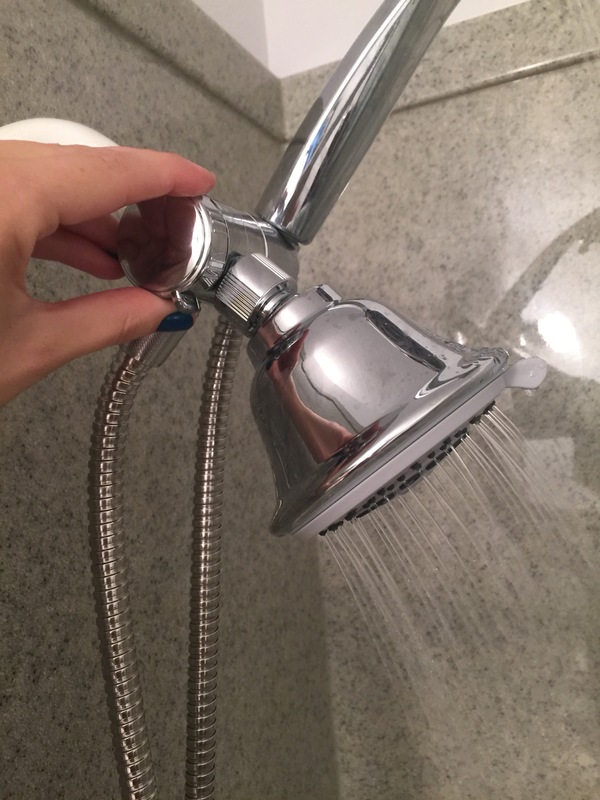 You can also adjust both shower heads for a total of 30 different settings of water flow patterns! Wow, this HotelSpa Shower combo makes it so everyone in the house can easily find their perfect, spa-like experience! Some of these options include Power Rain, Pulsating, Hydrating Mist, Rain/Massage, Rain/Mist, Water Saving Economy and more! Personally the hydrating mist was my very favorite and I found myself using this setting most of the time. The high-power precision Spiralflo design of this dual shower head really does give you the ultimate spa-like experience! 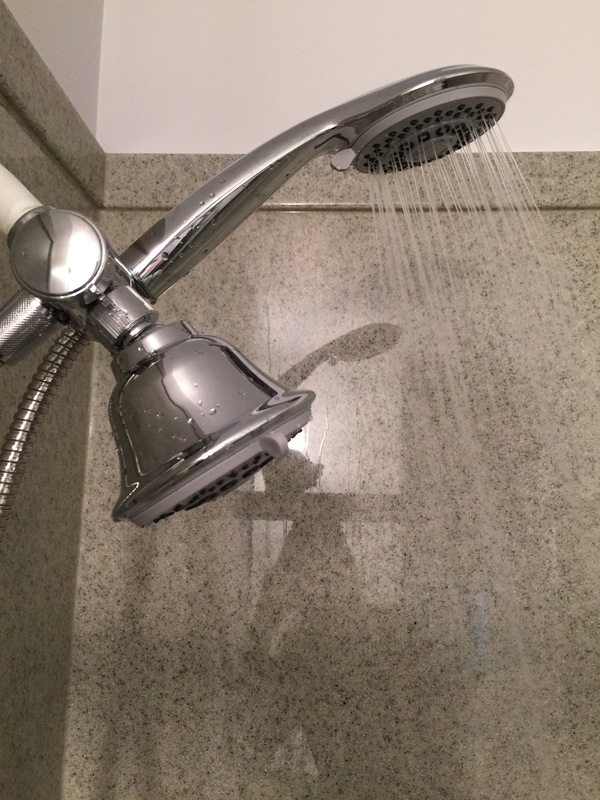 When I first hopped into the shower to try this baby out, after playing with the settings for a minute, I leaned back, put my head in the water and just felt this instant, ahhhhh. So relaxing! You really do feel like you’re at the spa getting an amazing treatment! Then my second thought was, “I’m going to regret not putting this in the master.” Which I do! I’ve been showering in the spare bath ever since, just for this amazing shower combo! Every time I’ve used this powerful, yet super relaxing, luxurious shower, I fall more and more in love with it. It truly is unlike any other shower I’ve ever used. The light hydrating mist feels uber-relaxing, and puts me in an instant state of happiness, calm, and serenity. (It’s sounding more and more like actually being at the spa, doesn’t it?!) This is truly the perfect way to start every single day. I tend to wake up tired, and not in the best of moods, but this shower instantly put me in a better mood. The water feels incredibly rejuvenating on the skin when using pretty much any of these 30 settings! It’s really just a matter of finding what you’re in the mood for that day, or maybe you have an overall perfect setting (Like I have), that you end up using 100% off the time! My favorite part about using this shower was washing my face. This is really where I get the “spa” experience. Again, that lovely hydrating mist gently hits my face and leaves it feeling so refreshed. It feels amazing having two different shower heads spraying you at the same time too, so you get all of these water droplets from several different directions. I really didn’t think this feature would be such a big deal to me, but it really was! I honestly am normally much more of a bath person, probably because that is more of a spa experience to me. But after trying this fabulous AquaStorm by HotelSpa shower combo, I’m completely re-thinking the shower for the ultimate spa experience! I love every minute of my shower now, and find I have a hard time getting out of the shower! So weird for me, as I’ve always been in such a rush to get out of the shower in the past! I emerge from the shower feeling refreshed, rejuvenated, relaxed, HAPPY, and ready to start the day. I honestly can’t say a shower has ever made me feel all of those things all at once before! 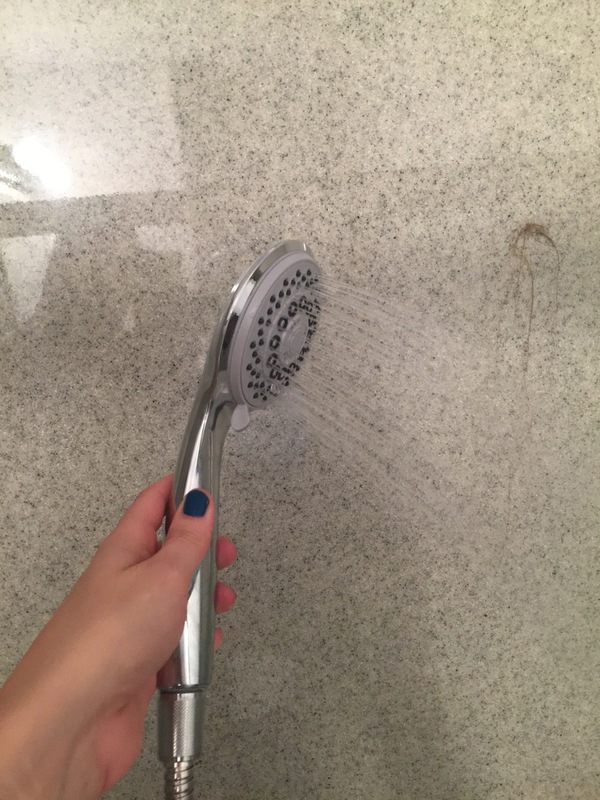 I’m completely obsessed with this shower head comb, and you can bet I will be soon replacing my shower head in my master bath too, AGAIN (Yes, even though I had just replaced it a few months ago with a much lesser shower head!) I really do feel like I just left the spa after using this truly exquisite 30 setting shower combo! If you would like to learn more about the Aqustorm by HotelSpa 30 Setting SprialFlo 3 Way Luxury Shower Combo, or pick one up for yourself today, then be sure to check them out HERE on Amazon! Oh and by the way, You’ll DIE when you see how little you’ll pay for this shower combo! It comes with a lifetime warranty as well too! Happy at-home spa days ahead! * I was given this product for the purpose of review. However, all thoughts and opinions expressed in this post are solely my own. I only share reviews wit my readers, I feel will be beneficial or informative in some way. Are you a shower or a bath person? Do you think this shower head would change your mind about having a spa-like experience through showering? Let me know in the comments! I love hearing from you! I only take showers and I wish I’d had that removable head when I broke my leg and had to sit on a stool in the shower. It was really hard to get myself all clean without something like that. Now that sounds heavenly. I would love to get one for my shower. I love the fact that it doesn’t cost very much! I am a shower person! Oh my goodness do I want this! Thank you so much for a great review! 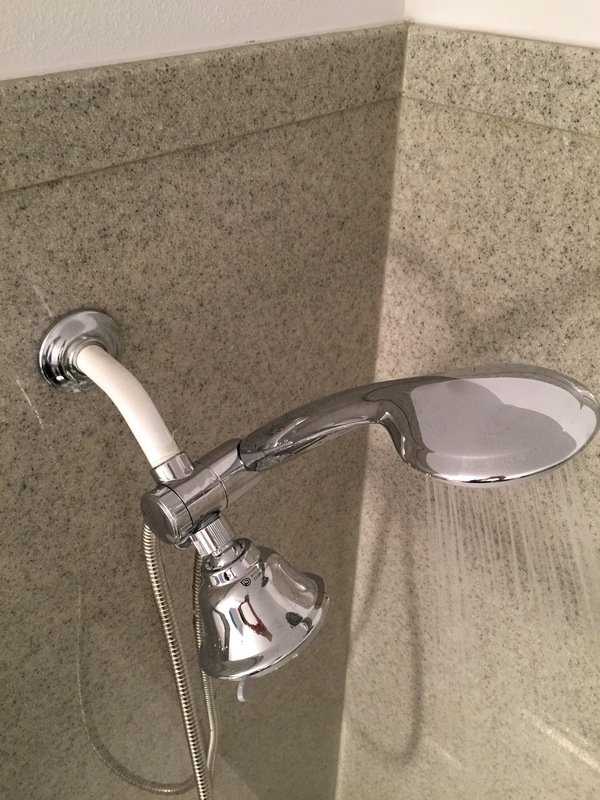 A good shower head / attachment can really make a difference in your shower experience. This one looks GREAT! I had this in both of my showers in my last apartment & we absolutely loved them!!! Thanks for the article. My husband and I are ready to upgrade our shower and this has been a great help.